Furukawa, Y., Reed, A. H. and Zhang, G. 2014. Effect of organic matter on estuarine flocculation: a laboratory study using montmorillonite, humic acid, xanthan gum, guar gum and natural estuarine flocs. Geochemical Transactions DOI: 10.1186/1467-4866-15-1. Categories: Uncategorized | Tags: clay, estuarine, flocculation, flocs, littoral | Permalink. We got on board R/V Pelican yesterday with our gear, spent the afternoon and evening setting up the labs and repairing equipment while cruising to our first station. 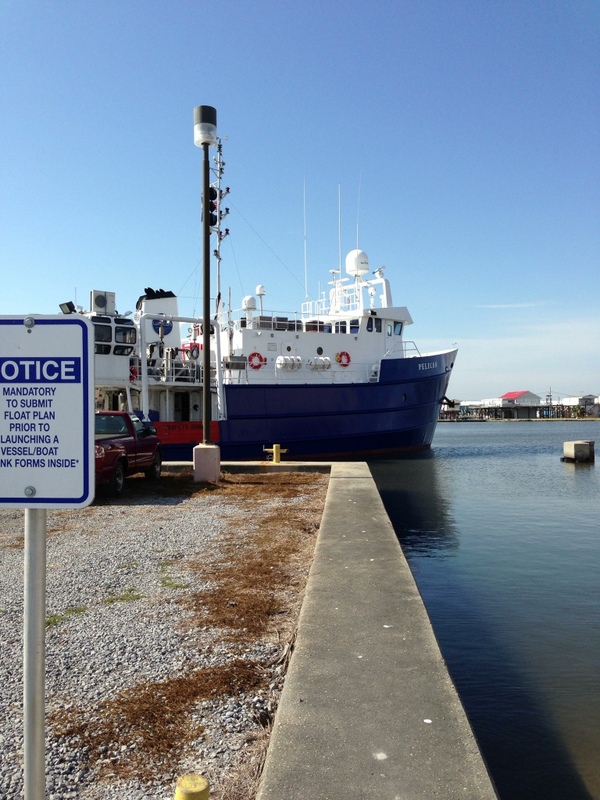 We’ll be collecting sediment samples and processing them for geochemistry, microbiology and sedimentology.